Kimi Raikkonen was told to cover up a tribute to James Hunt on the top of his helmet by Formula One Management (FOM) but is now able to use it in Sunday's race. 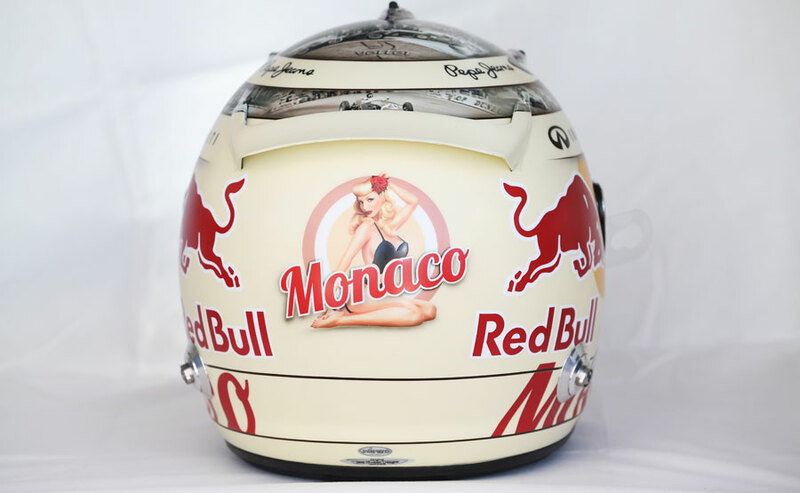 Raikkonen and a number of drivers have special helmets for the Monaco Grand Prix, but the Finn's had an image and writing on the top facing the TV camera that said "James Hunt" and "1976 World Champion". FOM deemed that to be in breach of the TV rules and Raikkonen was asked to cover it up. He complied in FP3 but then ran the helmet uncovered in qualifying. Asked whether he would now be able to use it on Sunday, Raikkonen said: "Yes, but I don't know the story and I'm not interested in those things." Other notable designs this weekend that will be allowed to race include Jean-Eric Vergne's replica of Francois Cevert's helmet and Sebastian Vettel's one off Monaco design. 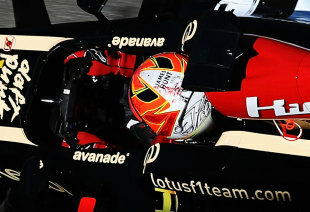 Vettel's helmet includes a cartoon of a curvaceous woman wearing a black swimsuit, but when the helmet reaches a certain temperature the swimsuit disappears with only a couple of stars retaining the cartoon's modesty. It also pays tribute to Stirling Moss' 1961 victory at Monaco with a series of black and white photos on the top.